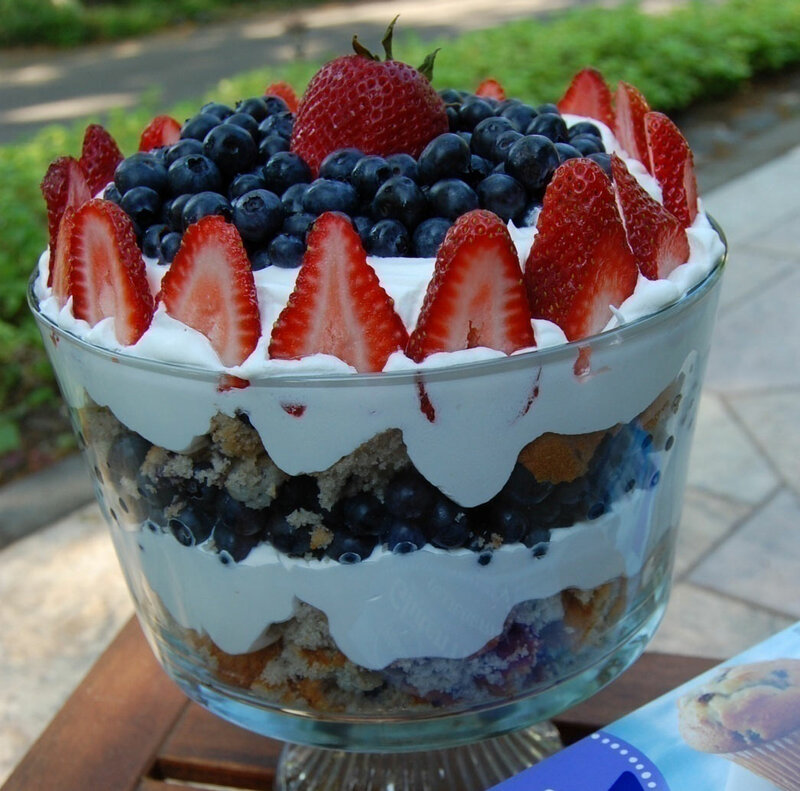 Serve this refreshing dessert on a hot summer day — it’s perfect for a Fourth of July picnic. Repeat steps 1 through 3. 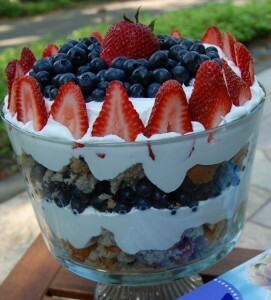 For the final layer, form an outer ring of sliced strawberries (save one whole strawberry to decorate the top) and place all the remaining blueberries in the center (see photo).Cover and refrigerate for several hours, or overnight, before serving. Nutrition Analysis: 340 cal, 14 g fat, 30 mg chol, 200 mg sodium, 49 g carbs, 2 g fiber, 17 g sugar, 4 g protein.